At Picket Fence Financial and Tax Service, our mission is to transform the financial world for Americans. With income tax preparation, we provide a unique, stress free experience at an excellent price. Currently, you have two options for tax preparation: the low end experience or the high cost option. With the low end, you sit in a bland, cheaply furnished office drinking day old coffee out of a paper cup. You wait in uncomfortable chairs lined up like you are visiting the DMV. You sit with a tax preparer at a cheaply constructed desk where the customer next to you can hear your private information. Maybe you are surrounded by cubicle walls, maybe you are not. The high cost option is a CPA/accounting firm where you just drop off your tax documents and pick up your tax return with no real interaction. You pay hefty fees for a tax return that really isn’t too complicated. 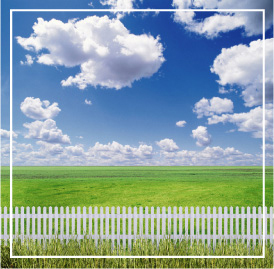 We believe you deserve better: an enjoyable experience at an excellent price along with the Picket Fence Guarantee. When you can come in to have your taxes done, you’ll be able to get a fresh cup of coffee, tea, or even a latte or espresso. Enjoy your beverage and pastry as you sit in our comfortable chairs or on the couch. Taxes can cause people stress. Our goal is to help take the stress out of the taxes. For financial planning, we strive to save you from Wall Street. The financial industry is structured to provide conflicted advice at an extremely high cost to you. With Picket Fence Financial, you get objective, transparent advice structured to keep your costs as low as humanly possible. We are fee-only so we are never paid by commissions or sales fees. We work with you in the manner you desire: hourly, retainer or money management, and we structured our operations to keep your costs low, which means your put more money in your pocket, not Wall Street’s. Imagine that. To learn more about our fee-only planning, click here.